The 7 Rules of Good Summer Style | Valet. It's easy to dress when it's cool out. Lots of layers and textures help a man put together a solid outfit. But when the heat and humidity is oppressive, it can be difficult to look (and feel) your best. But we're always here to help, with some expert advice on how pull yourself together no matter how hot it is outside. "Lightweight yarns with a loose open weave—those are the two things that keep air flowing, particularly on hot days," says Ledbury co-founder Paul Trible. He prefers a cotton-linen blend for a comfortable summer shirt. "Linen blended with cotton gives you the best of both worlds. 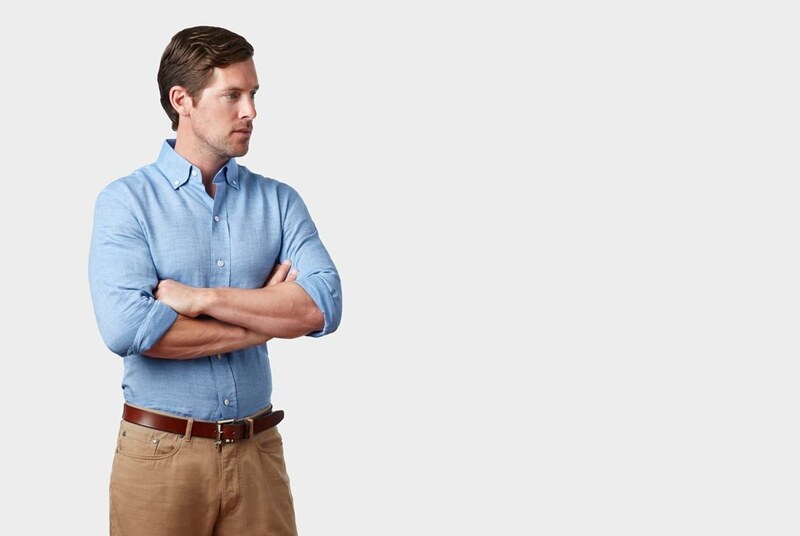 It manages the heat and absorbs moisture, but the cotton is a great thing because it prevents a shirt from wrinkling up and looks more polished." Any fragrance you wear will be intensified by the rising temperatures. So keep that in mind when you're applying cologne and even deodorant. That's why so many summer fragrances tend to be lighter and fresher with citrus and watery notes instead of the darker amber scents you can wear in the winter. Apply a cologne with a few spritzes to the pulse points but don't go overboard. Once you start perspiring it releases more of the scent. After all the lessons on slim-fitting styles and the importance of tailoring, this can seem counterintuitive. But the baggier styles that are now in fashion with early adopters are perfect for the hotter, humid months. 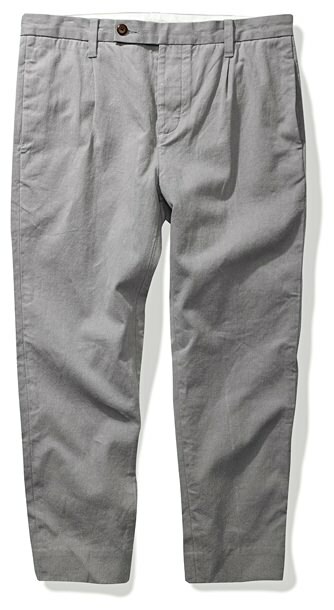 Do yourself a favor and pick up a pair of relaxed chinos or some seersucker trousers with a slightly wider leg. The vibe is easy going, the fit is loosened up and your legs will definitely thank you for it. The easiest way to look and feel cool and comfortable above the neck all summer long? Get regular haircuts. Ask your barber what a simple trim-up between cuts would cost. Usually it's anywhere from $10 to $15 and will keep your back and sides nice and sharp. Then enjoy how easily the breeze can cool you off with a close-cropped hairstyle. Investing in well-made pieces should always be a priority, but it's even more important during the sweltering months of summer, when you're more likely to leave the house wearing just a T-shirt with some shorts or a pair of jeans. 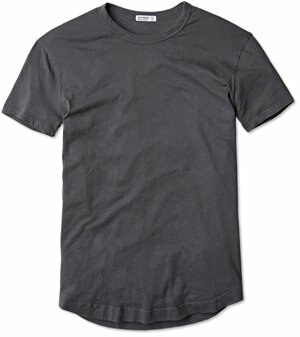 A great T-shirt with a nice set-on collar, textured fabric and details like a rounded shirttail hem makes all the difference. And it doesn't have to cost a lot—Buck Mason makes some of our favorite tees, hand-sewn in Los Angeles and they're downright affordable. Here's why you want at least two pairs of sunglasses. Firstly, the likelihood that you'll leave them in the back of an Uber or break them one way or another is pretty high. But even if you're good to your glasses, having multiple styles can change up your look in an instant. See what we mean here with Paul Newman. This is the perfect time to experiment a bit with bolder prints and patterns as well as new shades you wouldn't normally wear. Try a pale pink linen blazer with some navy chinos. Or throw on a floral Hawaiian shirt with some shorts or your favorite jeans. In the United States, over 650 million long-distance trips are made during the summer months. 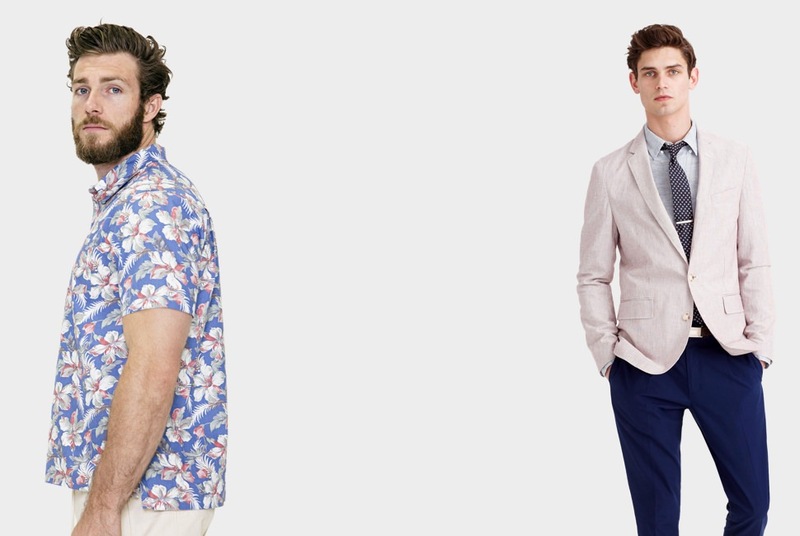 Foolproof options for looking sharp (and feeling good) when it's hot out.